This event has so much more to offer than face-value business sense. Register today for the perks! Like all great events, big and small, there are aspects that we look forward to most and some that are neither here nor there, but we all love perks! 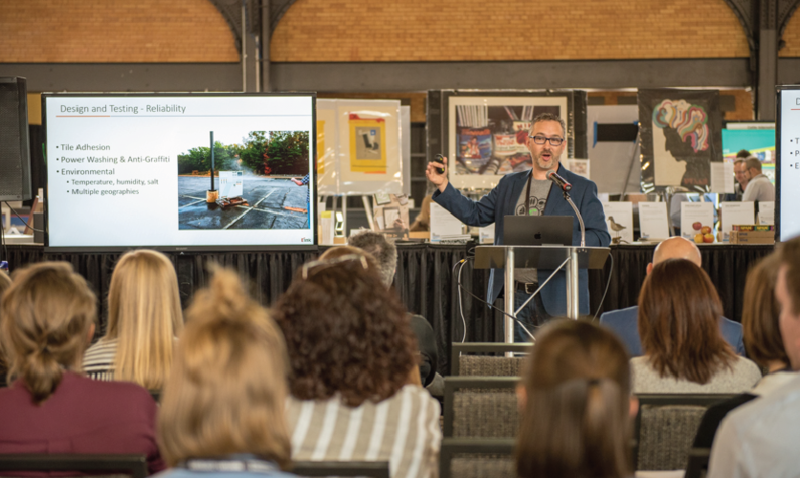 Here are four perks linked to the 2019 SEGD Business & Leadership event that you didn't know you needed in your life until now. Aw yes, the two most glorious words we all want to hear when considering whether to attend an event—TOUR INCLUDED! The SEGD Chicago Chapter is inviting local chapter members AND SEGD Business & Leadership attendees to an incredible evening at the Chicago Architecture Center (CAC). (Yeah, it's definitely in your wheelhouse.) This tour will be hosted and led by exhibition designers Gallagher & Associates and the Center's staff. You'll get a behind the scenes look at the collaboration to bring this project to life, as well as have an opportunity to ask questions about the exhibition design and storytelling approach. Shel Perkins - Shel Perkins is a graphic designer, management consultant, and educator with more than 20 years of experience in managing the operations of leading design firms in the US and the UK. He provides management consulting services to a range of creative firms in both traditional and new media. Kevin Budelmann - Kevin is President of Peopledesign, but he is also an accomplished award-winning designer, speaker and judge at design events and institiutions across the continent. He has studied the inner workings of many businesses in many industries for the past 15 years, learning a lot about how messages travel, how leaders communicate, how sales stories are crafted and told, what customers and clients need. Julie Maggos - Julie is the Senior Director of Experiential Graphics at IA | Interior Architects. She is responsible for defining their desired experience, planning and executing visual design solutions appropriate for the context. Julie has built the EGD practice at IA to be truly integrated throughout design and delivery of all of IA’s projects. Kelsey Rodheim - With a focus on interior design, Kelsey has discovered project management as an avenue to develop her love for working with people, passion for teamwork and motivation to build business relationships. She has an enthusiasm for collaboration and strategic design thinking and she continues to expand her skills and experiences in managing teams of varying levels, as well as guiding clients’ needs on a daily basis and effectively delivering successful projects. Shel Perkins has released the 3rd edition of his successful book Talent is Not Enough: Business Secrets for Designers and it is a must-read for designers looking to expand their knowledge and skill set into the realm of the business of design. Event attendees will each receive a promo bag and eight lucky individuals will find a coupon for the complimentary eBook inside. This could be you! Now that you've got the insider's scoop, don't miss the glorious benefits of attending a workshop that sets your skill level above the rest and ultimately assists you in rising through the ranks with greater ease. Chicago, April 26, here we come! Come for the content, reap the rewards! Register TODAY! 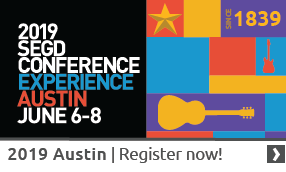 The 2019 SEGD Business & Leadership event is sponsored by TruVue.